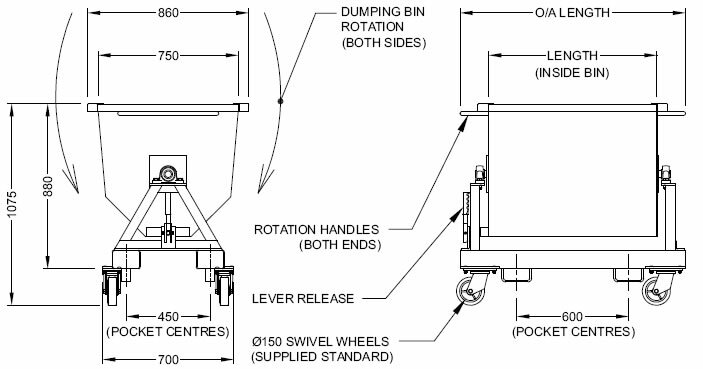 Sideways rollover discharge bin with the ability to tip in either direction. Fork pockets are provided for end or sideways lifting and tipping. This bin is ideally suited to the food industry. Also available in zinc finish and Stainless Steel on request. Wheels fitted as standard.